26 YEARS AGO, Ian Dennis wanted to take his first step towards sports journalism but didn’t know how. So, he asked a famous face for some advice and reached out to one of the biggest names in football broadcasting at the time – John Motson. He penned him a letter, posed a series of questions and desperately hoped for a reply. Quite remarkably, a detailed and considered one arrived in the post not long after. And despite it being almost three decades ago, the pointers remain just as relevant today. 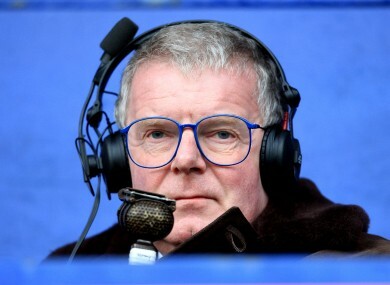 After taking on board what Motty had to say, Dennis started out in local radio before eventually progressing to BBC Radio 5 Live where he’s now a commentator and the station’s senior football reporter. Email “Motty wrote a lovely letter to an aspiring sports journalist back in 1988...”. Feedback on “Motty wrote a lovely letter to an aspiring sports journalist back in 1988...”.